The #1 internationally bestselling author of The Demonologist radically reimagines the origins of gothic literature’s founding masterpieces—Frankenstein, The Strange Case of Dr. Jekyll and Mr. Hyde, and Dracula—in a contemporary novel driven by relentless suspense and surprising emotion. This is the story of a man who may be the world’s one real-life monster, and the only woman who has a chance of finding him. Andrew Pyper, you did it again! But, should I be surprised? You had me at Hello the day I cracked open The Demonologist. It was shelved on my "Staff Favourites" shelf for months at the little Bookstore I worked at. Then The Damned came out and let's just say that I was a gluten for punishment! That book had me spooked to my bones, yet I couldn't put it down and loved every spine-tingling second! Pyper's extraordinary talent to weave dark tales with unforgettable characters is outstanding. He has the truest ability to pluck you from your every day life and transport you into whatever tale he has gifted us. 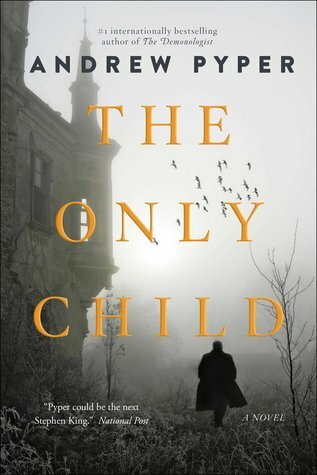 The Only Child is a book that will appeal to all readers, not just fans of horror and Gothic horror. If you like to be entranced by a compelling story, meet diverse characters and be left on the edge of your seat, nail-biting your way through the pages, then this book is for you. The Only Child is packaged perfectly: Haunting cover, check. Inviting premise, check. And it only gets when you start reading. Leaving you dying to know how this story will unfold. But Pyper will not give it up easily. Keeping you in utter suspense the whole way through! When it comes to the delivery of this novel, it is marvelous. Each chapter delivering a new, delicate piece to the story that will leave you with no choice but to carry on. Even if you are bleary-eyed. Even if you know that you have to be up early and need to get to bed. You will read on because you need to get closer to solving the puzzle; and when you're not reading, you'll be thinking about reading it. Well played, Andrew Pyper, well played! Putting it simply, you'll devour it. Action-packed, dripping with suspense and just a really spectacular reading experience! Andrew Pyper is an author that I will eagerly stalk follow so I can snag every one of his future masterpieces the minute they hit the shelves! Don't miss out on what others have to say about The Only Child. 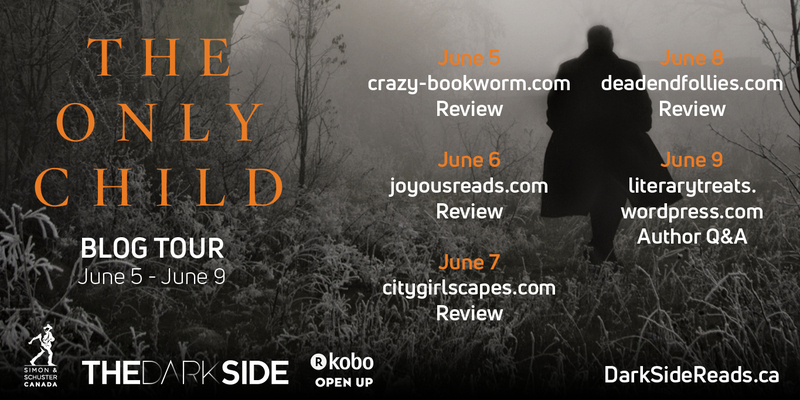 Follow along with us on The Only Child blog tour.